Now driving off to your favorite place with your friends or family or even alone is as easy as that owing to the Car & Coach Rental Services provided by Manla Homes. Pick up your favorite car from our posh garages, anywhere in India! CG Travels is Amritsar based travel company and offers Car & Coach Rental Services all over India. We have variety of vehicles with us such as compact, convertible, economy, luxury, premium, standard, mini van, compact pick up, and MUVs & SUVs. Cover the small to long distances in the choice of vehicle that suit your demands, preference and needs. 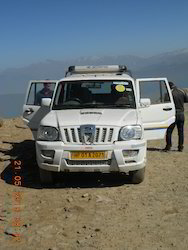 We are a reputed tour operator from Punjab, is offering an assortment of well-maintained cars to travel the long journeys conveniently. 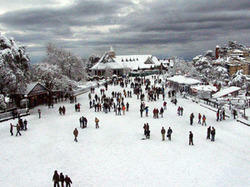 Vardaan Holidays is a travel company headquartered in Rishikesh, Uttarakhand. We have our automotive garages in Uttarakhand, Uttar Pradesh, Himachal, Rajasthan, and Delhi. We provide variety of vehicles on low rent in these locations. Our company was established since 1985. We provide the quality & Comfortable transportation across the country. Our honey satisfactory service is our mission. We provide the value for maoney advantages to our customers.